Bernd Leno says Arsenal were extra motivated for Sunday's Premier League game against Manchester United by Jesse Lingard's goal celebration during January's FA Cup tie between the sides. Lingard celebrated a goal in United's 3-1 FA Cup fourth round win at the Emirates Stadium back in January by moonwalking in front of the Arsenal supporters. The England international had previously scored twice in the league clash in north London last season and irked Arsenal fans by posting his recent celebration on Instagram with the location set as "dancefloor". 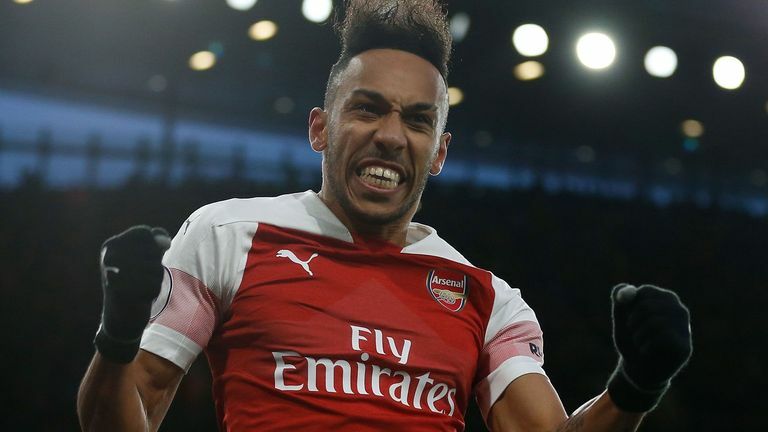 But it was Arsenal who were celebrating on Sunday, a Granit Xhaka goal and a Pierre-Emerick Aubameyang penalty securing a 2-0 win and ending United caretaker boss Ole Gunnar Solskjaer's unbeaten Premier League streak. Arsenal playmaker Mesut Ozil appeared to reference Lingard in a post-match tweet on Sunday evening which read: "Dancefloor huh?! Superb performance! Brilliant result! Thank you Emirates Stadium! Proud to be a Gunner!" Lingard missed the game due to a hamstring injury but goalkeeper Leno, who performed well in goal for Arsenal, admitted the forward's previous antics had spurred on the hosts. "In your mind you will never forget something like that, when somebody is celebrating," he said, when asked if the win was revenge for the FA Cup loss and Lingard's dance. "You don't want to see it again, so we were motivated. "And we knew before the game about our chance, because Man United had one point more than us [in the race for fourth]. "Now we have two points and that was enough motivation for us. We are in the top four and the other teams now wait for our mistakes." Arsenal appear to have quite a favourable run-in and Leno added: "There are still eight games and we want to win every game but we have to focus on each one, because the other teams will wait for small mistakes. Who has the best top-four run-in? Footy fans: Who to back at Cheltenham? "We don't play against the other top six teams, so I think we can beat the others. "The next game is against Newcastle at home and it is an opportunity to win and stay in the top four."